If you like this free game, try Hiddenverse: Witch's Tales 2. Sarah's father, a top mechanic has been secretly kidnapped by the evil Lord Marcus. Desperate to free her father from the evil lord, Sarah embarked on a journey to rescue him. In Hiddenverse: The Iron Tower unravel the mystery behind this kidnapping incident. Help Sarah solve different challenging hidden object puzzles. Gather the clues to her father's whereabouts. Be warned, one clue leads to another making this game extremely addictive. 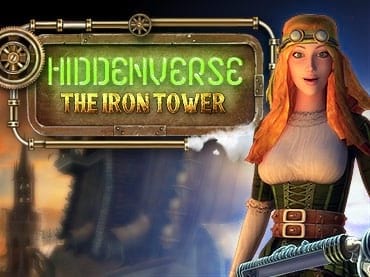 - Hiddenverse: The Iron Tower is a free full version game to download and play. If you have questions about Hiddenverse: The Iron Tower game, please contact us using this form.